Rutledge Farm showcases Virginia traditions with modern convenience. Middleburg, Va., is a charming and historic town. It’s celebrated as the heart of Virginia’s foxhunting country, and is a mecca for equestrians year-round with no shortage of activities—from spring and fall racing to popular summer horse shows. 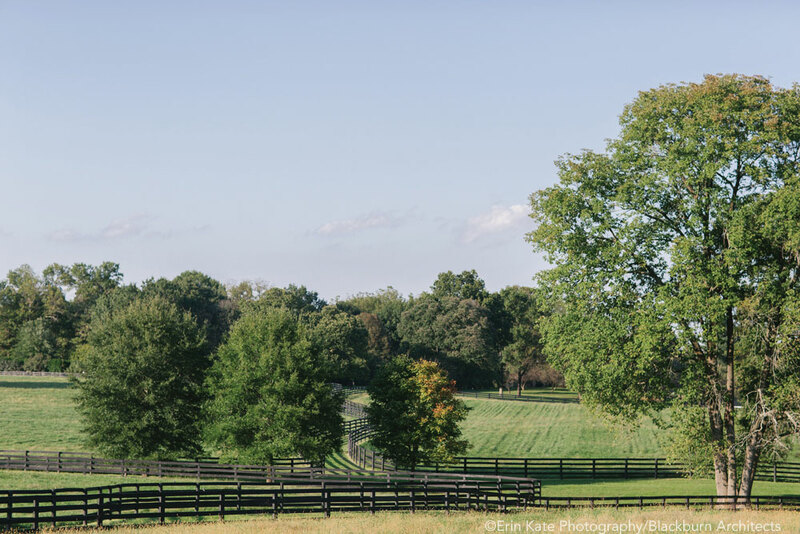 Pristine horse farms are scattered throughout Loudon County and encompass Middleburg. 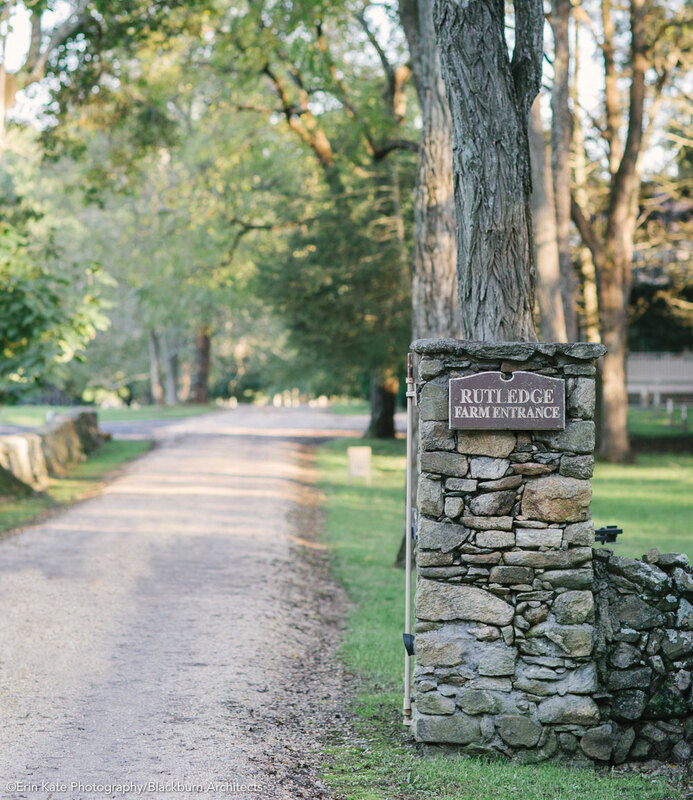 One such exceptional property is Rutledge Farm; it is located just 2 miles outside of Middleburg. Rutledge Farm embraces a historic past and vibrant equestrian future. The magnificent property at Rutledge Farm showcases the earlier work of Blackburn Architects, known as Smith Blackburn Architects in the 1980s. 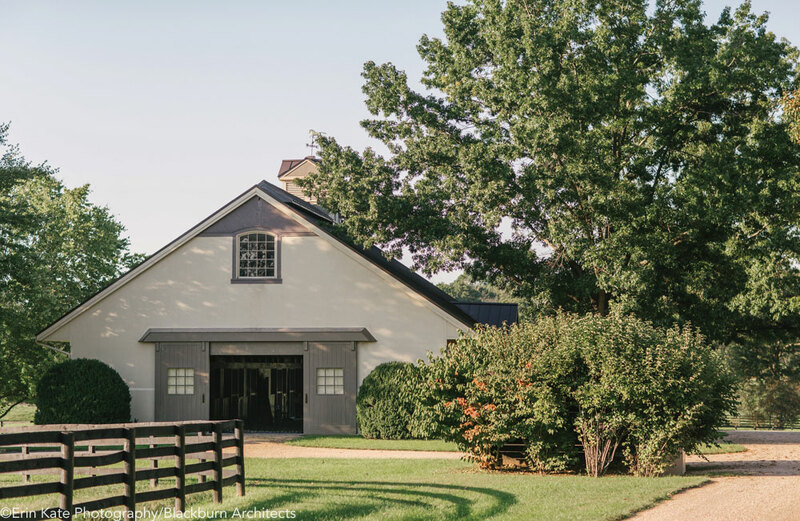 It was 1983 when John Blackburn and his then-partner Robbie Smith received a call about designing horse barns for an estate in Middleburg. Smith Blackburn got the job; it was the young firm’s first equestrian project. It was this job that led Smith Blackburn to Rutledge Farm. Architects designed Rutledge Farm in the 1980s. The architects met Herman Greenberg, a real estate developer with a passion for Thoroughbreds. His vision was to create exceptional racing stock by breeding and training horses on his own property instead of stabling them at the track. At the time, Rutledge was an “old cattle farm,” according to John Blackburn. It took several years for the architects to modify Rutledge Farm, bringing it up to Greenberg’s expectations. 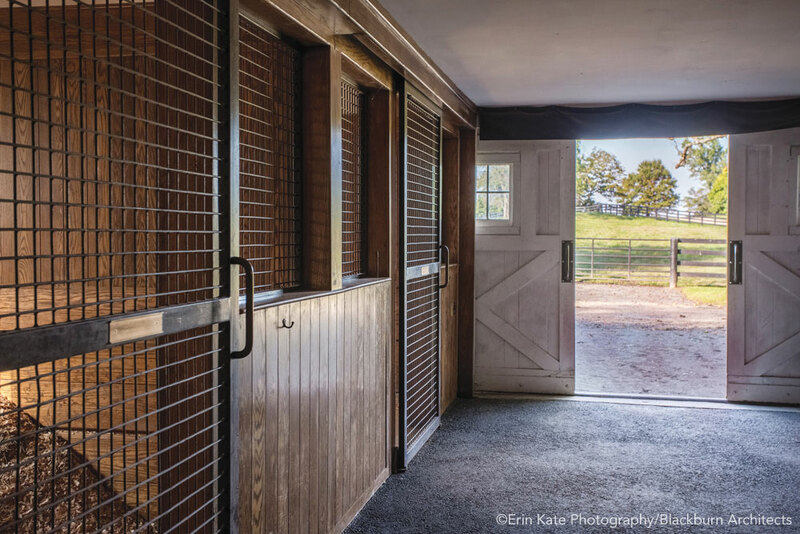 The task included the restoration of the stone residence, an addition of a carriage house, and new foaling barns for bringing up the young and promising Thoroughbreds. The stucco and timber barns were designed to match and complement the historic stone residence and their rustic hunt country surroundings. The exterior was painted a signature shade of tan. Thirty-five years later, the color remains a distinct stamp of the farm. The barns at Rutledge are simple and functional structures that have held their ground for decades. The former cattle farm was restored and new equine facilities were added. The history of Rutledge is extensive, and the horses were always the top priority. Classic winner Colonial Affair was bred at Rutledge Farm and is best known for his 1993 win in the Belmont Stakes with Julie Krone, the first Triple Crown race ever won by a female jockey. Colonial Affair was inducted into the Virginia Thoroughbred Association’s Virginia Equine Hall of Fame in 2008. Sur La Tete was another champion bred and born at Rutledge. He later went on to become a successful steeplechase horse and the fourth-leading money earner in the history of the National Steeplechase Association. Greenberg was inducted into the Washington International Horse Show (WIHS) Hall of Fame in 2009 for all his accomplishments as a dedicated equestrian community member. He also served on the WIHS board for many years to help continue the legacy of the horse show. Acres of high-quality grazing cover the ground at Rutledge Farms. Rutledge Farm is paradise for the horse and rider, sprawling out over 128 acres of lush green land. Today, Rutledge is an impressive clinic destination for hunters, jumpers, eventers, dressage and equitation riders. Last year Rutledge debuted their “Rutledge Farm Sessions” clinic series with four Olympic gold medalists. It’s a prestigious opportunity for riders and auditors to learn from the best. ​Rutledge Farm has an admirable past and is concentrating on supporting equestrian sport as a world-class facility with a promising future. Raquel Lynn writes the popular online equestrian blogs www.horsesandheels.com and www.stablestyle.com. Find her on Instagram @horsesandheels_ and @stablestyle.